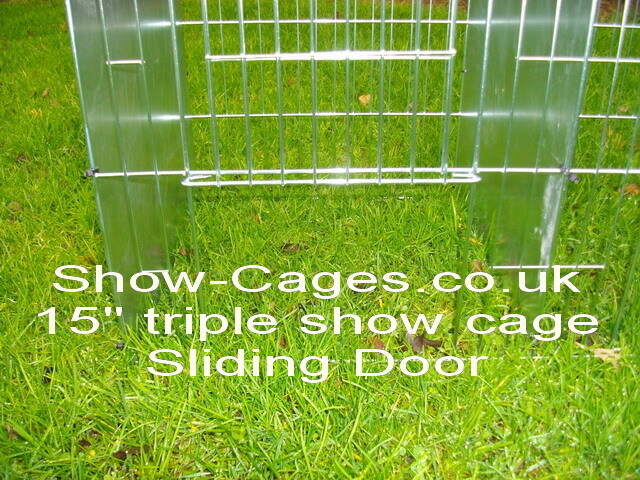 15" show cage triple with sliding doors and solid divisions. 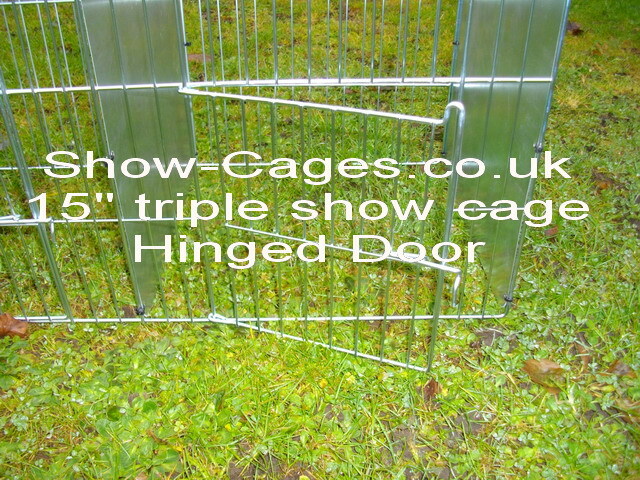 Used for old english game bantams, call ducks, modern game. Sliding doors 7.5" tall x 9" wide. 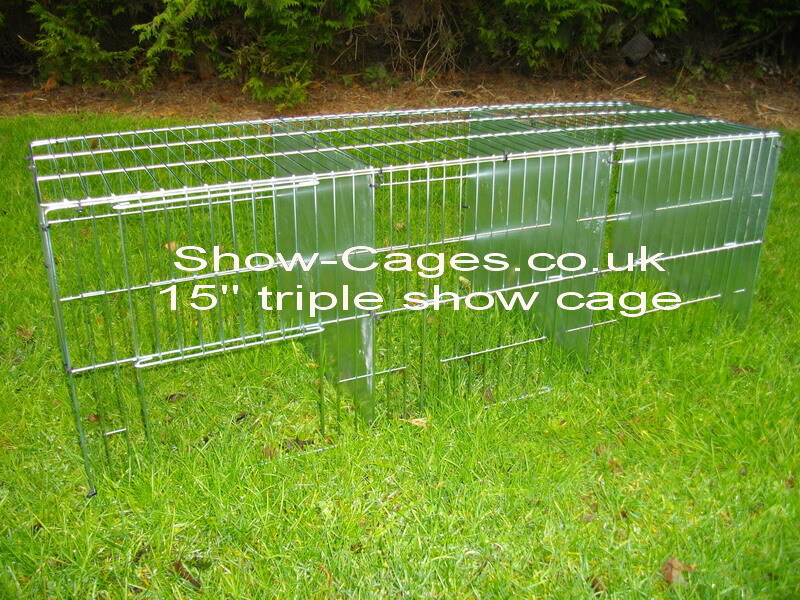 You are buying one 15" Poultry Show Cage which comes flat packed, one front panel with three sliding doors, two panels which are the top & back, four solid divisions and enough ties to assemble the cage, if in doubt please telephone 01772811522 before purchasing. 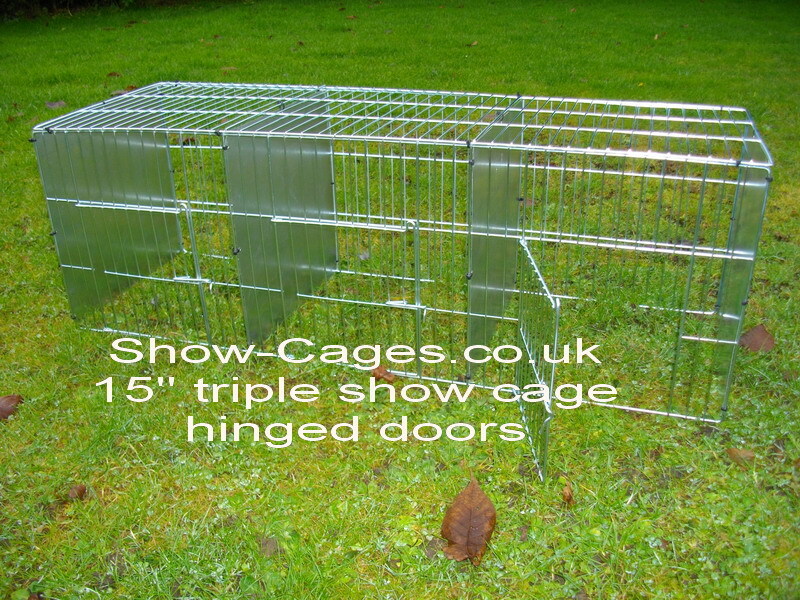 15" show cage triple with 9" tall hinged doors and solid divisions, commonly used to house larger bantams which require a taller door. 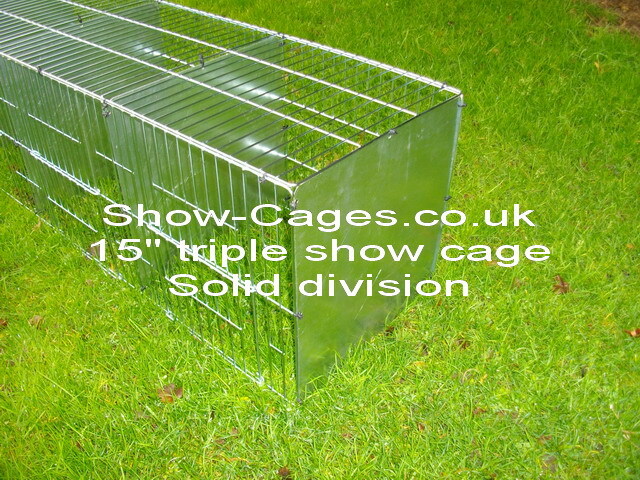 You are buying one 15" Poultry Show Cage which comes flat packed, one front panel with three hinged doors, two panels which are the top & back, four solid divisions and enough ties to assemble the cage, if in doubt please telephone 01772811522 before purchasing.